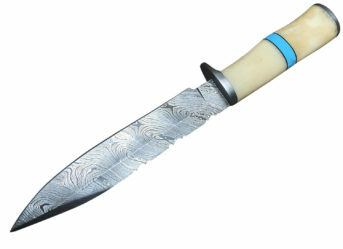 Perkin Knives features a variety of hunting knives for sale in the UK. 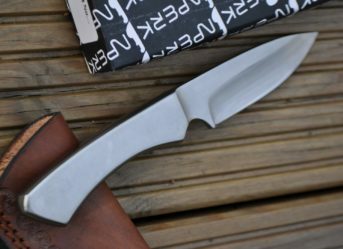 Fixed blade knives are a solid piece of metal that can have tang or full-tang construction at the handle end. Tang construction features a tamper that disappears into the handle (wood or other material). Full tang construction has a solid metal frame, to which handle slabs are attached on either side. 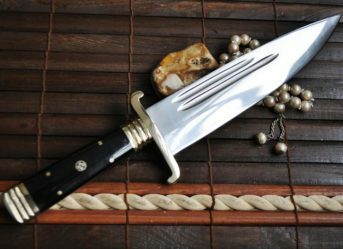 A hunting knife with full tang is stronger, but a little heavier, with a handle anchored to it. Anyone looking for a knife for hunting or tough camping tasks, a fixed blade hunting knife is the best option. 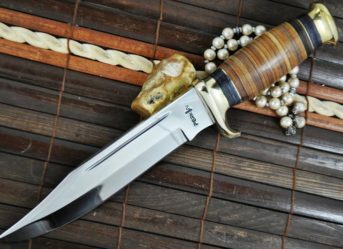 Why Should You Buy Fixed Blade Knives with Sheath for Hunting? 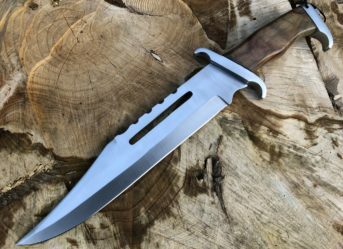 The first thing to keep in mind while carrying a fixed blade knife is that you will be requiring a sheath to keep both knife and yourself from facing injury. Sheath is the item that will slip over the hunting knife blade to keep it from being exposed. Most of the times they are even able to attach to a belt, pant or some other form of clothing. 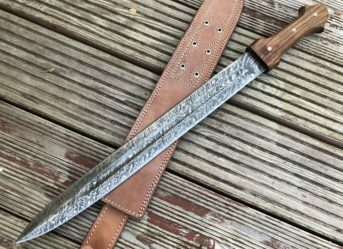 It is highly advisable to carry a fixed blade hunting knife with a sheath. 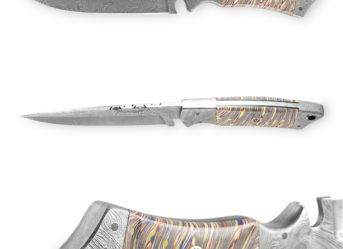 Perkin Knives has got an excellent history of providing full tang hunting knives at reasonable prices. 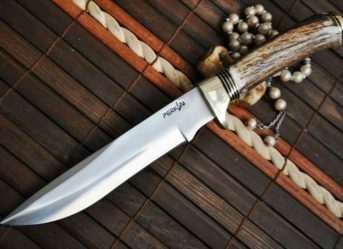 Our hunting knives with full tang run the length of the handle, which means that full tang blades make good use of a single piece construction. This means that unless the blade snaps under immense pressure or due to damage, you can rest assured that the blade’s edge won’t separate from the handle whether you are cutting or stabbing. 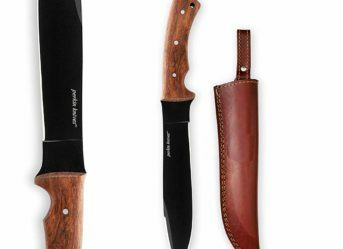 We at Perkin Knives sell high quality hunting knife with leather sheath at low costs. Our leather sheaths are designed using authentic leather and prove to be highly durable in protecting your hunting knife blades. Leather is still one of the finest varieties of sheath material to have. It is a well known material that looks exceptional, feels nice in your hands and smells good. It is also very quiet when you are putting a knife in and out of the sheath. Also, we have got the famous Boker knife and we are selling it at the best price.